K.R Mangalam World School, G.K-II believes that education cannot be confined to the four walls of the classroom and one should strike on new paths to explore new wonders. 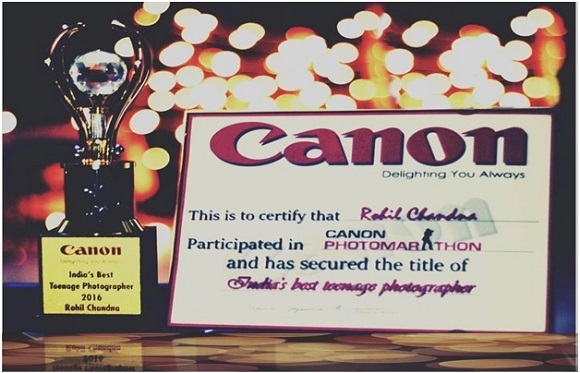 The school takes pride in stating that Rohil Chandna of Class XII has been awarded ‘India’s Best Teenage Photographer’ in Photomarathon organized by Canon. The felicitation ceremony was held in Germany where budding photographers from all over the world participated. KRM is proud of you Rohil! !